Pope Francis and the family – it’s time for clarification. Wednesday 15 April was the deadline given to dioceses to return the questionnaire to the General Secretariat of the Synod of Bishops in preparation for the coming synod. Then, beginning on the same day, Pope Francis dedicated his address in two consecutive general audiences to the complementarity between man and woman. In his speeches, Pope Francis defended the traditional family, and attacked gender ideology, emphasising that “difference is the solution: it is not the problem”. 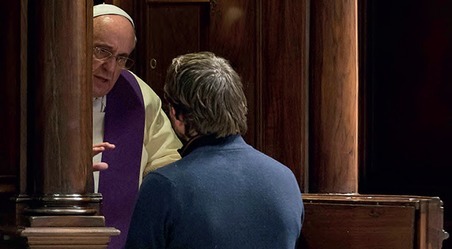 Those who believed that Pope Francis’ pastoral revolution presaged a doctrinal change in terms of marriage and family heaved a sigh of relief upon hearing his latest words. As far as family issues are concerned, it turns out that Pope Francis adheres to traditional Church teaching. His push toward a more pastoral approach does not necessarily mean he is going to water down doctrine, as was commonly thought. It now seems that those who were claiming the Pope’s support for such changes were probably trying to manipulate him. It seems to be the fate of this papacy to be romanticised and mystified in some ways. Yet more in-depth analysis reveals that the truth about it is more trivial, and it is found in Pope Francis’s biography. The man who came “from the end of the world” was never fond of the Roman Curia, and probably saw in it a reflection of the Jesuits’ General Curia, which isolated him for a decade, before Cardinal Antonio Quarracino, Archbishop of Buenos Aires, plucked him from the peripheries and promoted him as his auxiliary bishop. Viewed from the peripheries, the Roman Curia can seem a place of illicit dealings and general dysfunction. This is how the media depict it, wishing to draw attention to the Church’s shadowy side. It is seen this way, too, by some of the non-Italian clerics who, upon entering the curial ranks, have to work hard to understand mechanisms and languages so different from those they left behind. Local bishops, barely able to stand what they consider to be interference in the form of appointments and decisions made by Rome, also view the Roman Curia in a negative light. like a medieval relic, something unnecessary for the Church’s mission that can safely be abolished. Paradoxically, it is only by living within this institution that one can understand how it guarantees freedom for the Church. Little by little Pope Francis has understood this point, as this anecdote may show. The new Italian President, Sergio Mattarella, went to the Vatican for a state visit on 18 April. The protocol for such a visit – which is also the legacy of historical relations between the Holy See and Italy – includes an exchange of public speeches, and requires that both the Pope and the President wear their designated official attire for state occasions. According to a source, Pope Francis did not want the full ceremony to take place. He would have had to wear the red “mozzetta”, but he has not done so from the first day of his pontificate, nor does he do so when the occasion calls for it, as during the New Year’s reception of ambassadors accredited to the Holy See. The Italian President agreed not to wear his official dress, but his entourage asked that the protocol for a state visit, even one simplified in accord with Pope Francis’s style, should still be observed. Pressured by the recommendations of his diplomatic consultants, the Pope had to agree. Nevertheless, after the meeting, he became aware that by observing the proper protocol for a state visit he was able to address the Italian nation directly, whereas if only a private meeting had taken place between himself and the President, it would have remained confidential, and the details would not have been disclosed. So in the end the Pope understood that the full ceremony of a state visit allowed him to communicate directly and fully a message that otherwise would have been truncated within the confines of a cold communiqué agreed with the Italian state press office. This anecdote does not mean that Pope Francis will always agree to perform his official role in the traditional way. Yet it is the latest signal that the Pope’s “revolution” has step by step reverted to something more established. Those who had pushed for the revolution are very much aware of this fact. But even these words show that the hoped-for doctrinal revolution has stalled. As bishops’ conferences from all over the world are electing their representatives for this year’s synod, it becomes clearer that the conservative line will be upheld by a wide majority of the participants. 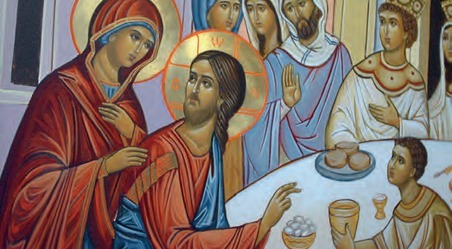 None of the bishops is against a pastoral approach; in many parts of the Church such an approach is already under way. But none of the bishops wants to denature the Church’s teaching in favour of a major pastoral innovation. Man is not an isolated individual: he lives in a network of family relationships; his essence is to be a family. Inside these relations he is free; he defends his truth. When he is outside of this relationship he is simply an individual manipulated by powers, which grant him the hedonistic pleasure of sexuality, but which do not grant him to love truly and to be bound by love. In this reduction of man to sexuality, these powers can control the person. Even [the Marxist sociologist Herbert] Marcuse is aware of this reduction of human sexuality in order to control man. This is the huge struggle being fought within the synod’s debate on the family. This struggle is even wider than the media report, and goes beyond the issues of the divorced and remarried and of pastoral care for homosexual people. Now is the time for Pope Francis to carry these issues into the international arena. And on these issues he will achieve consensus. It was while addressing the European Parliament in Strasbourg about the family that he earned the most sustained applause. He will certainly speak about the family before the United Nations General Assembly on 25 September. Now that Pope Francis seems to have become aware of the importance of the Church’s institutional component in fighting this battle, perspectives on his pontificate will obviously broaden. Perhaps curial reform, as well as the much vaunted doctrinal revolution, will find their proper place in this discussion. But this will not be the “core issue”. It will just be a path toward better functionality, one made within a wider vision and concept of mission. Andrea Gagliarducci is an Italian journalist and Vatican correspondent for the Catholic News Agency.